homemade fire starters | i made it so. 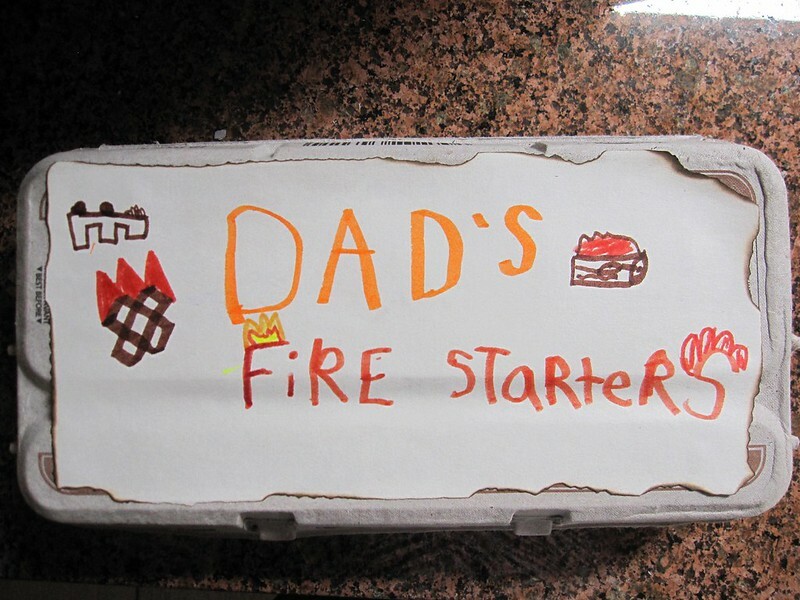 for father’s day last month, we made some fire starters. 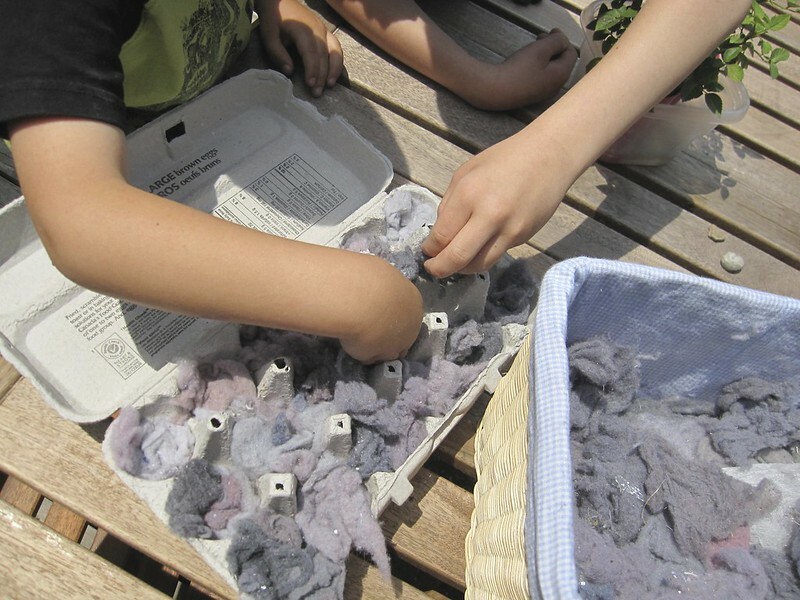 we stuffed dryer lint into the spaces of an egg carton. 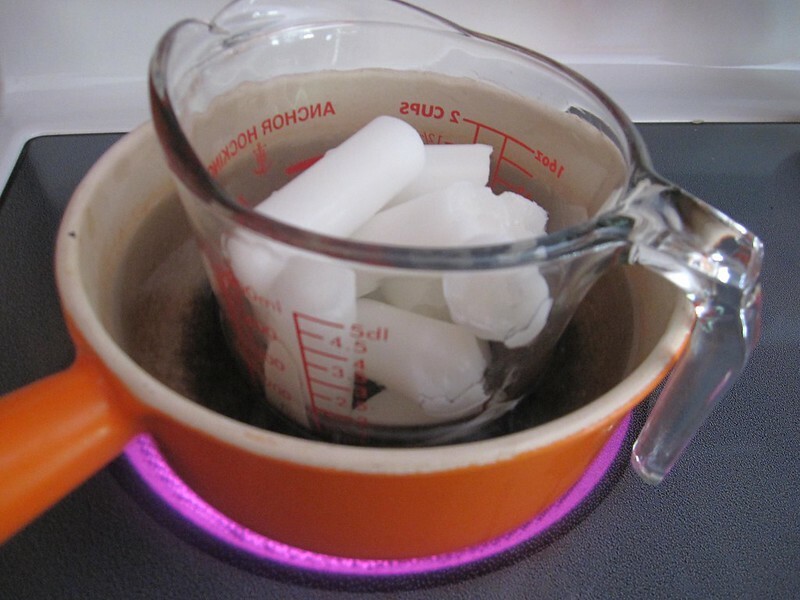 i took some candle pieces (wicks removed) and put them in a heat-safe measuring cup. 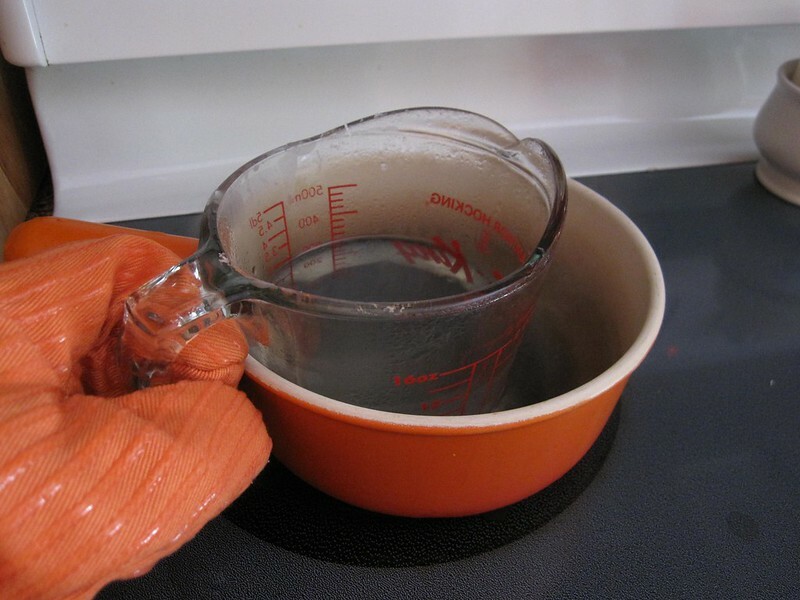 i melted the wax in a pot of boiling water. be really careful that everything is steady and safe. have some oven mitts nearby. 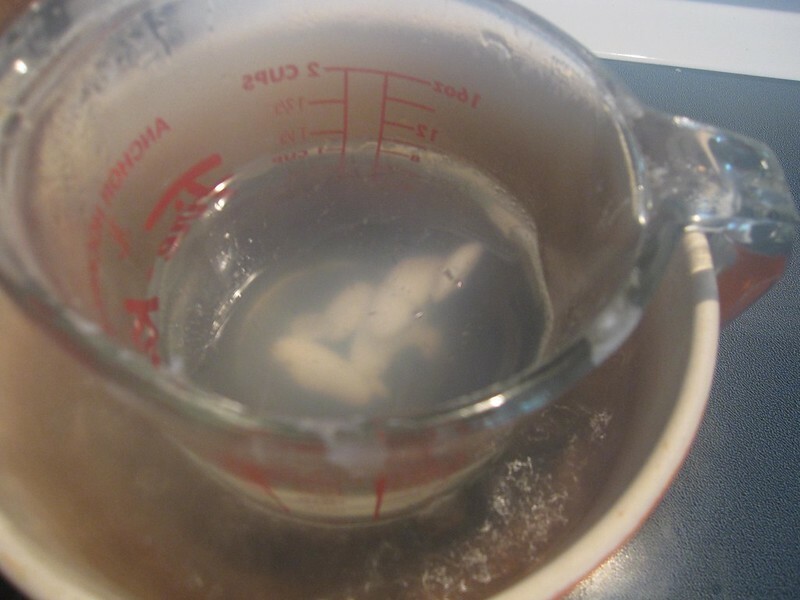 it took a few minutes of boiling and stirring for the wax to melt. very hot! i poured the wax over the lint in the egg cartons. 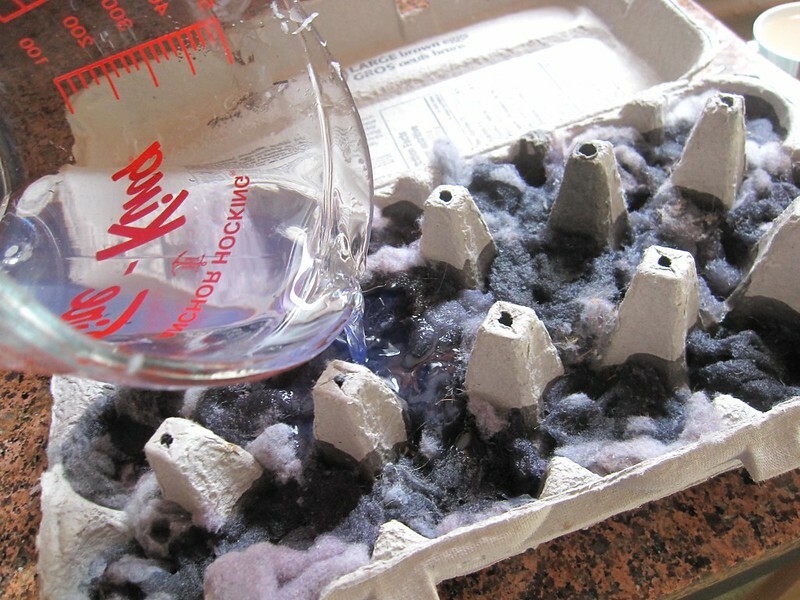 you can put a cookie sheet or newspaper underneath as some of the wax can seep through the egg carton. we let it cool completely (a couple of hours), and that was it. i tested it out in the chiminea. i tore out one of the egg compartments, lit it, and it burned for over 5 minutes. we had a bit of rain during this last camping trip, and it was helpful in getting those soggy logs going. 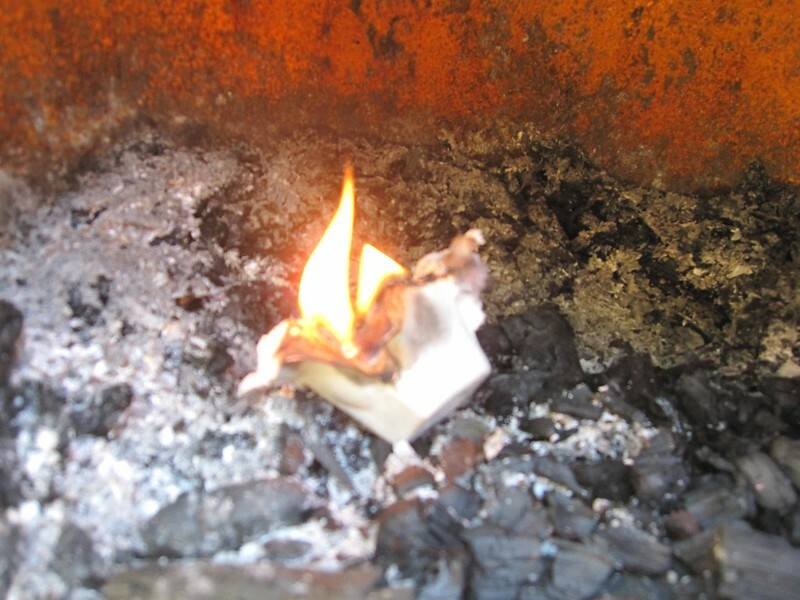 This entry was posted in ideas & inspiration, kids made it so, something old, something new, tools, tips and techniques and tagged dryer lint fire starter, easy fire starter, father's day gift idea, homemade fire starters, melting candle wax, uses for dryer lint, uses for egg cartons. Bookmark the permalink. Now I know what to do with all that dryer lint!!! Hahahaha! OMG, I love your chiminea!!! How many cans of paint did you need to use? about half a can? i still have some left. the chiminea needs some touch ups, there are some rust spots emerging again. Wow, that’s a lot less than I thought. It looks great! this is a really neat idea !! !